I travel a lot on German railways. Barely a week goes by without me making a long distance trip from Berlin to Brussels (via Köln), or somewhere further afield. I paid the company more than €2000 in the calendar year 2013, and the sum will be roughly the same in 2014. I rely on DB. But Deutsche Bahn, the company, I simply fail to understand. It strikes me that DB manages to bundle up the worst of monolithic state-run-operator thinking about railways, and the worst behaviour of a capitalist company, into the very same entity. Take last week’s news story as an example – HR reported that DB was thinking about abolishing its BahnCard, an accusation that was rubbished by DB itself, but HR stuck to its guns. The basic problem, from DB’s point of view, is that the flat-rate price reductions that a BahnCard offers mean that DB cannot price-maximise on trains that are close to capacity at peak hours – i.e. it wants to move to a system that is more market driven to determine its prices. DB, so HR and Spiegel reported, needs to reduce its costs in its Fernverkehr (long distance) business by €1.5 billion per year by 2019, but do not report why this is the case. This is on top of the stark reduction in the number of cities even still served by DB’s long distance services since 1999, as reported by Tagesspiegel. Its response to the new competition from long distance bus operators is… for DB to run its own buses (the kleinen Bruder der Bahn apparently – flyer for the DB bus to Copenhagen (PDF)), and to look at profit maximising the long distance rail routes it runs, cutting back international connections and night trains, and also talking of cutting back unprofitable long distance routes within Germany (although it refuses to say which routes those are). The point that is seldom raised in these sorts of reports about DB is what is its role? 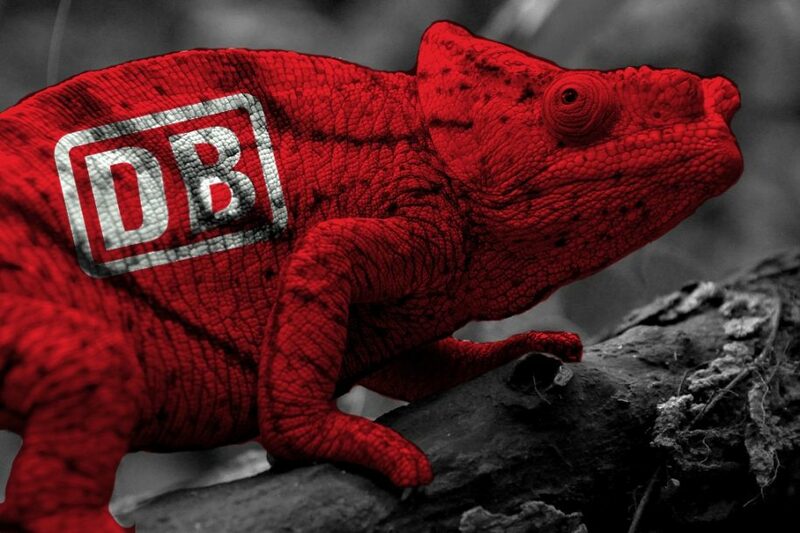 DB, remember, is a private joint-stock company (AG), with the German government being its majority only shareholder. The idea to privatise Deutsche Bahn was quietly dropped by the German government in November. So, essentially, if DB has to make savings in its long distance business it is the state that will win, financially, if they do so. Yet debate about what role there should be for long distance rail services in German politics seems to be more or less non-existent. The grinning Bayern-hipster transport minister Dobrindt was drawn into the debate on whether the BahnCard should be axed, but otherwise seems to stay away from this issue as far as possible (and when he talks it’s unclear anyway). 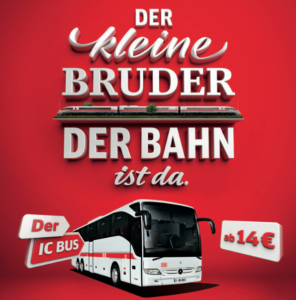 In theory the long distance rail market in Germany is open to competition, but Veolia has found it cannot make a profit against DB and the long distance buses and is stopping its long distance rail services next week. Hamburg-Köln Express (HKX) continues to exist, but is restricted by the lack of availability of rolling stock for its service… because Deutsche Bahn will not lease any carriages to it. If the German government really wanted competition on its railway it would split the ownership of rolling stock into a separate entity as Spain is doing. When it comes to the night trains that DB is to axe, a private rival to DB taking over these routes would have the same problem as HKX – trying to lease stock. DB has previously scrapped locomotives in Poland to stop them falling into the hands of a competitior. If DB still runs a publicly-owned railway, it needs to start behaving like one – serving passengers on the basis of need, and ensuring as many towns are connected to long distance railway services as possible. If some services are unprofitable, but judged to be socially necessary, then they should be maintained and subsidised. Conversely, if DB is to be viewed as a competitive player in a liberalised market, then the rules of the game need to be changed to give competitors a fair chance, and to give rail a fair chance versus other transport modes (as the Greens in the Bundestag have been arguing). Innovative and nimble operators might be able to see opportunities that DB itself does not judge to be important. DB also owns many of the tracks it runs on, receives billions of Euros in government subsidies to maintain them, yet DB is free to lease the tracks out to private companies and keep the profit (I.e., they are not required to apply these earnings to track maintenance). Seems unfair to private track owners and to German taxpayers. Interesting article. But I thought that EU regulations now forbid long-distance rail services operating at a loss, regardless of the operator’s status as public or private? @Simon – blog entry now amended above. Thanks! @Dean – on point 1) – commercial logic to determine what routes should run is OK, but DB is not behaving perfectly commercially, in that it still does run unprofitable routes because it fears the public relations consequences of axing them, and those consequences are more severe within Germany than on international routes. And then, if more cities ought to be connected to the IC network, then that could be achieved if it were a political priority for the German state. There are public service obligations – and subsidies – to support unprofitable regional routes, so surely the same case could be made for long distance routes too? Problem is we can’t work out where such subsidies would be needed as transparency is lacking… On 2) – yes, all operators face this to a greater or lesser extent, but ÖBB for example seems to be faring OK. DB is using the rules for its own ends here, playing them to its advantage – it’s not a foregone conclusion of the EU rules that unprofitable long distance routes need to be axed. 1) Yes the railways are publicly owned and run (to an extent) but long-distance services (IC, ICE…) regardless of the operator are not subsidised so are run on a purely commercial basis. DB has therefore no obligation as such to serve one particular route/city. After all, the more stops on the route, the slower the journey. Simple commercial logic. Deciding which services are ‘socially necessary’ is surely not a decision for DB to make but should come from federal level? They should then be identified and subsidised accordingly to compensate losses. DB after all is playing by the rules of the game as they currently are. 2) With the gradual liberalisation of Europe’s railways, will more incumbent state operators face similar such scenarios? With private operators nibbling away at their market share (at least in public service contracts) will state-owned operators lose their raison d’être? I think you hit hit the mark. Just some nitpicking: The German federal government is not just the majority shareholder of Deutsche Bahn AG, but in fact holds 100% of the shares.